The new announcement is just the latest in a string of signs that China is seeking to overhaul its petition system. Under China’s system, Chinese citizens who feel they have been unjustly treated by their local governments (including local offices of the petition system) can submit petitions to the Bureau for Letters and Visits in Beijing. In theory, this will allow them to seek redress, and provide a crucial check on local officials’ power. In practice however, the reality is far different. As China Power blogger Tyler Roney wrote in piece last year for The Diplomat, petitioners often find themselves sucked into a black hole of illegal confinement and extrajudicial pressure. Local officials employ “interceptors” to make sure petitioners from their districts never make it to Beijing. Even petitioners who arrive in Beijing often have difficulty actually getting government officials to hear their cases—some people claim to have been petitioning in Beijing for years or even decades. The plight of petitioners has received recent attention from the highest levels in Beijing. Back in December, when the government announced it would change the way local officials were evaluated, the CPC decided to stop ranking local governments based on how many petitioners they produced. This system, initially designed to encourage good governance at the local level, in practice only rewarded local officials for confining or harassing petitioners. Along with the government, China’s state media outelts have also begun to acknowledge the problem. 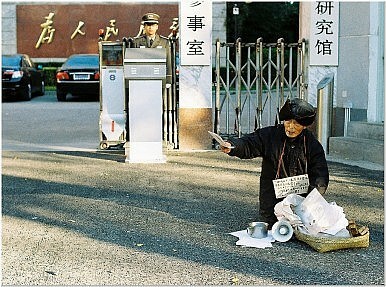 The recent Xinhua piece noted that “officials often prevent [petitioners] from raising such cases with their superiors.” In addition to noting that it is illegal to confine petitioners to prevent them from filing complaints, the CPC has also encouraged officials to listen to petitioners—“ leading officials of related law enforcement organs are responsible for receiving petitioners and reading their letters,” the circular said, according to Xinhua. Interestingly, the circular also included a procedural change to the petition office that could have huge ramifications for the both the petition system and China’s courts. The document said that “petitions concerning injustice in civil, commercial, administrative and criminal lawsuits should be handled by law enforcement organs” and not by the Bureau of Letters and Visits. Many petitions are actually complaints about unfair trials or lawsuits, where petitioners feel their cases were not considered fairly by local courts. By removing such complaints from the petition system and putting them back into the legal system, China could strengthen perceptions about the rule of law, a major goal for President Xi Jinping. Currently, doubts about the efficacy and justness of Chinese courts (especially at the local level) force people to seek redress outside the legal system. If court decisions could be fairly appealed and challenged, it would greatly improve the way Chinese citizens view the court system. However, it’s unclear from the circular if the government actually intends to reformat China’s legal system to handle such complaints and appeals. Recently the CPC has proposed reforming the courts to give local officials less ability to interfere in legal decisions, but the changes are still a work in progress. As it stands now, many people turn to petitioning only after they feel they have exhausted all options in the legal system. If the new policy merely denies a large segment of petitioners the chance to seek redress without providing an alternate outlet in the courts, the problem of petitioners will only get worse. As with China’s other more politically minded reforms, some activists worry that the measures to reform petitioning are simply window-dressing, designed to boost Xi’s popular appeal without actually implementing meaningful change. Amnesty International, for example, claims that China hasn’t actually eliminated “reeducation through labor” camps (one of the trademark reforms of the Third Plenary session back in November) but has rather switched to using illegal “black jails” and even drug rehabilitation centers to confine people—including petitioners. It will take more than a few government circulars to solve the problem of petitioners, but government attention to the issue is in itself a welcome change. There are limits to how far this current crackdown will reach. 3 Directives From China's President That Aren't Being FollowedChina’s Imploding Pressure Cooker: Xinfang PetitionsThe Anti-Corruption Drive and Risk of Policy Paralysis in ChinaWho Opposes China's Reforms? Lee Kuan Yew: The Father of Modern China?